Prof Raymond is board certified MD specialized in medical oncology and obtained a PhD degree in cellular and molecular biology, working on preclinical mechanisms of action and combinations of several novel anticancer drugs. He has been appointed as Chef de Clinique in Paris 6 Curie University with Prof. A. de Gramont for two years before undertaking a 2 year post-doctoral fellowship with Daniel D. Von Hoff at the Cancer Therapy and Research Center and Institute for Drug Development at the University of Texas in San Antonio, USA. Then, Prof Raymond undertook clinical and translational research in phase1-2 clinical studies of early drug development at the Gustave-Roussy Institute, Villejuif, France for 7 years. Prof Raymond has been appointed as full professor of oncology at the University of Paris VII (Denis Diderot) and chair of the Medical Oncology Department at Bichat-Beaujon University Hospitals, Clichy, France in 2004. 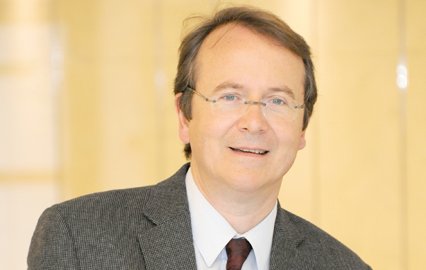 He was also appointed as full professor of medical oncology at the University of Lausanne in 2014. Over more than 10 years of experience as a chair of oncology in France and Switzerland, Prof Raymond developed in medical and research skill in patient care, oncology teaching, research, regulatory requirement, management and team building. Specialized in various areas of drug development focusing on translational laboratory research and early clinical trials focusing on drugs and therapeutics with novel mechanisms of action. Prof Raymond developed a large number of academic- and industry-sponsored projects both in the lab and the clinic. Current focus is related to bridge preclinical and translational data to clinical applications to accelerate novel drug positioning both for safety and efficacy. Works are on-going to develop tumor tissue-based biomarkers, liquid biopsy and in-patient molecular imaging.